10 Reasons to spend New Year in the mountains! Blog / Guides / 10 Reasons to spend New Year in the mountains! Need some gentle persuasion to book that New Year ski trip? Looking for the perfect reasons to convince your family and friends? Then look no further – we have popped together our top ten reasons to start 2018 in the snowy mountains! 1 . 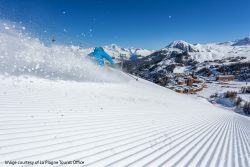 Start the New Year as you mean to go on – What better way to spend the first day of the year than skiing or snowboarding! A positive way to bring in the New Year with rosy cheeks and fresh mountain air! 2. FREE FREE FREE! 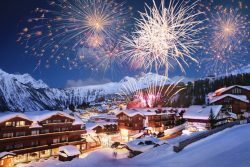 – Most resorts offer fantastic celebrations on New Years Eve! With concerts and fireworks and spirits on a high, it really does have the best atmosphere and normally all put on by the tourist office for FREE! 3. No need to be choosy! – All your nearest and dearest will be in one place together!! No need to pick and choose who to be with!! 4. Keep the peace! – There’s less chance of arguments about which party to go to, what club you think is best, did someone miss out on a ticket? And lets face it, these do’s are always over rated anyway! 5. Feel Fresh! – Hangovers don’t exist in the mountains (hmmmm) or at least as soon as you take your first run it’s disappeared! 6. Save your pennies! – No expensive tickets or taxis to worry about! Just enjoy the party in town and then swagger (stagger?) back to your chalet to carry on the party! 7. Don’t stress about the dress! – If you’re going to be outside enjoying fireworks and concerts, layers are where it’s at. Banish the stress of trawling the shops for a new outfit! 8. Family Friendly – Most of the resort celebrations will be suitable for all the family! No baby sitters needed! 9. Bragging rights – You can gloat about your amazing New Year to all your friends and colleagues back home safe in the knowledge you had THE BEST time! 10. Finally… Snow chilled Prosecco just tastes BETTER!!! Obviously! If you are convinced and want some help finding the perfect New Year chalet, apartment or hotel then just get in touch and let us do the work for you!! Our amazing ChaletFinder consultants will ask you a few questions and then get to work finding the best place for you and your group! 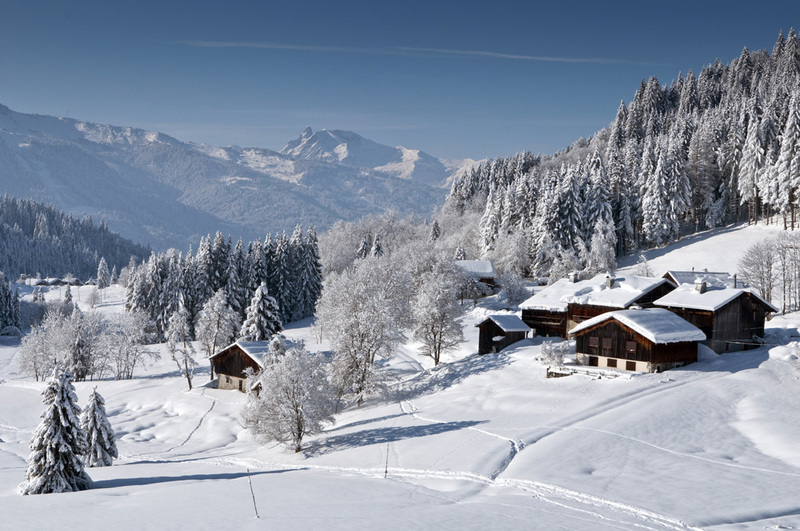 Spotlight on Samoens and The Grand Massif - A new lift opens up an untouched valley! Are you fit to ski? 7 exercises to get you ski fit for your winter holiday! Taking your skiing to the next level?